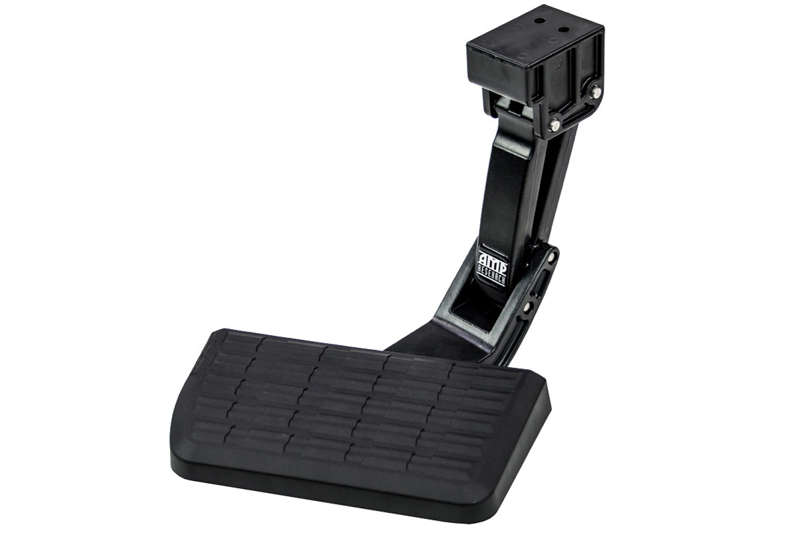 AMP Research's BedStep is a real time saver - not to mention knee and back saver. 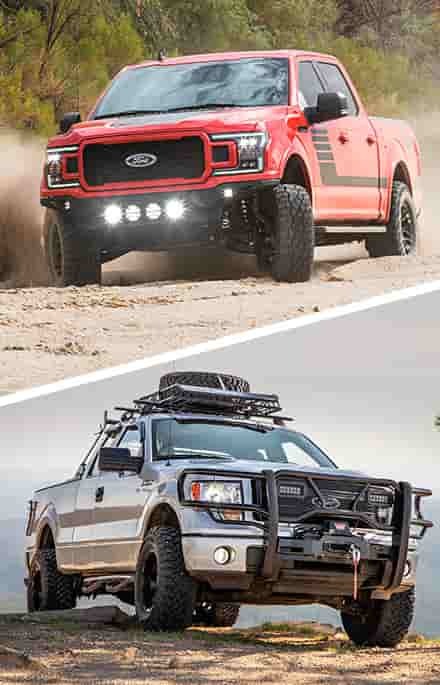 It gives easy access to the truck bed with the tailgate open or closed. 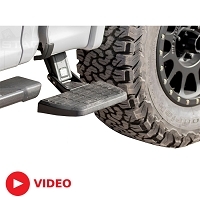 Strong and rugged, this non-slip, retractable bumper step quickly flips down with the nudge of a foot providing a faster, easier, and safer way to load or unload your pickups cargo. 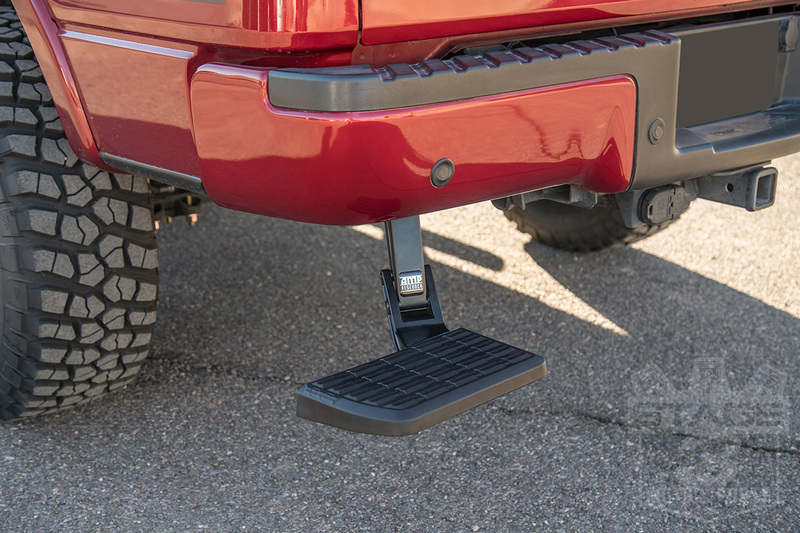 The BedStep supports up to 300 lbs and is mounted to the frame under the rear bumper so it works even with an open tailgate or when towing. Installation is a quick 10 minute no-drill task. 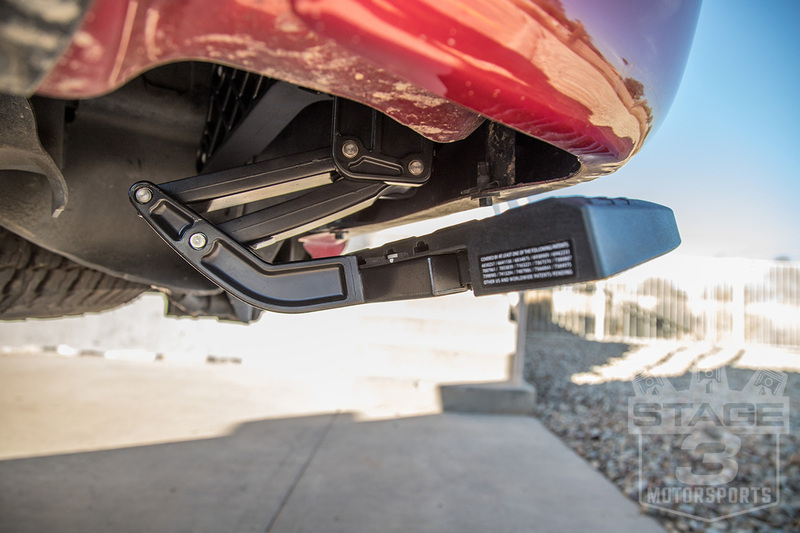 It bolts up to the frame on the drivers' side using the factory bumper mounting points. 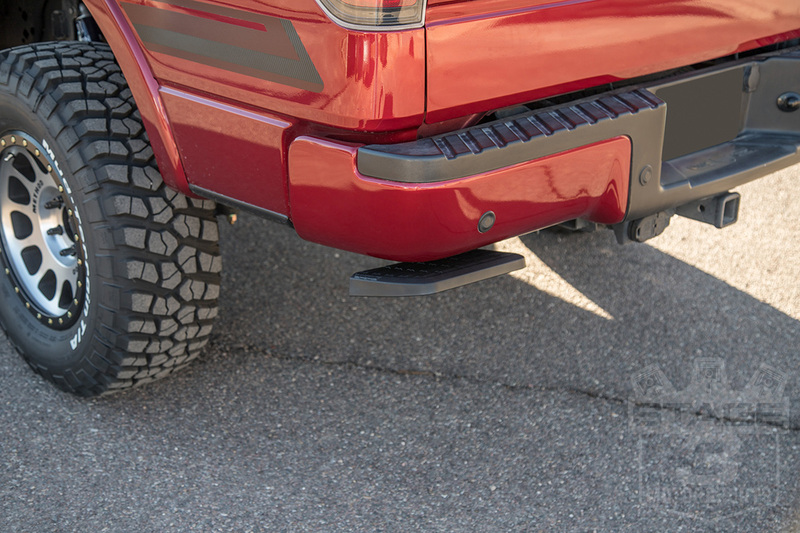 The BedStep Bumper Step is made in the USA! 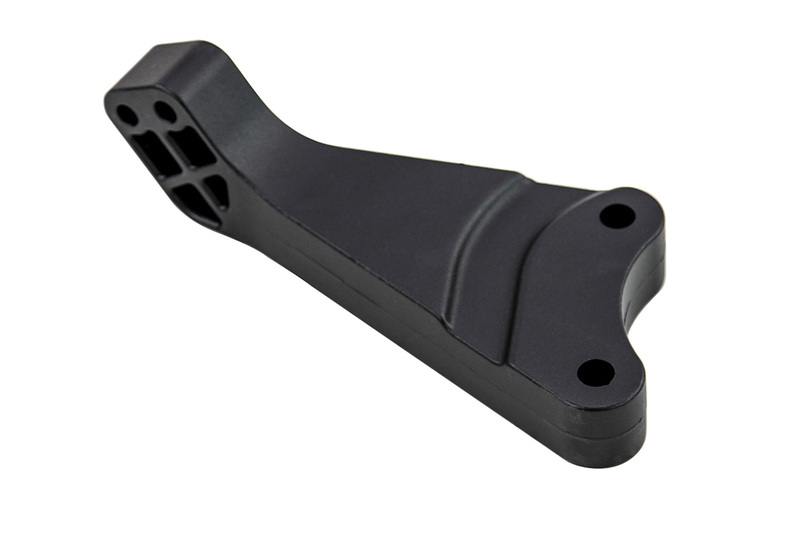 It is engineered to support up to 300 lbs using high strength, die-cast aluminum components. 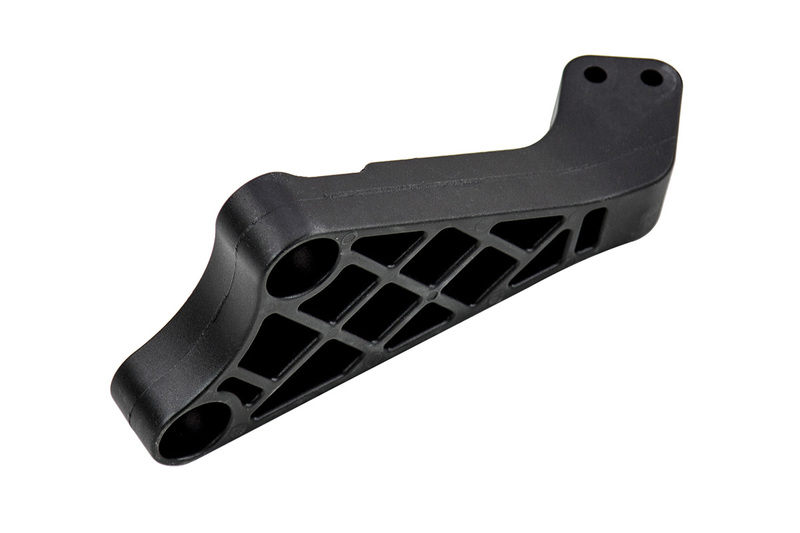 The BedStep components are anodized black and Teflon-coated to resist corrosion. 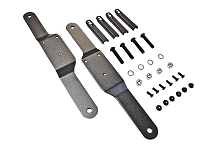 Precision stainless steel pivot pins with maintenance-free, self-lubricating bushings for rock solid stability. 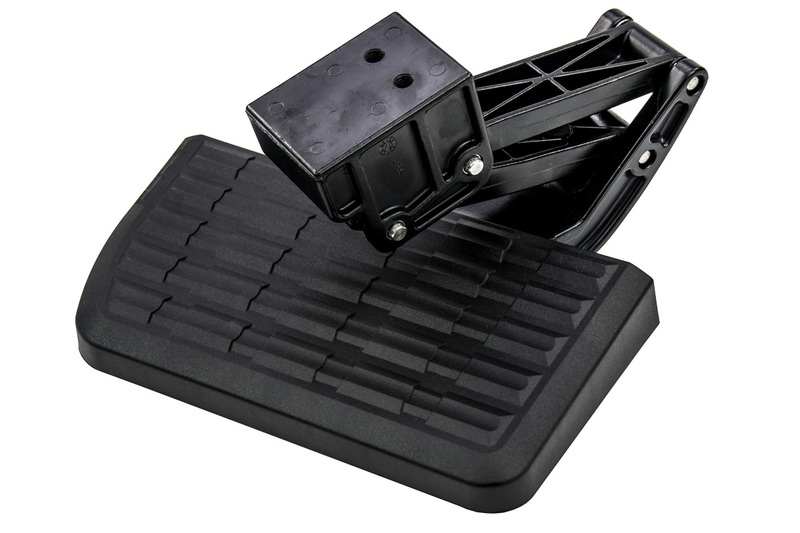 The BedStep features a high traction, all weather, composite step-pad that's big enough for two large boots. Important Note: This AMP BedStep will not fit flare-side models. 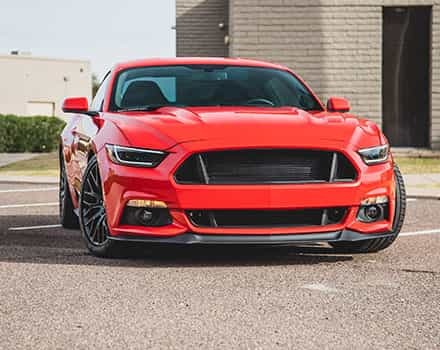 Warranty: AMP Research is so confident in their BedStep Bumper Step that they back it with a 3 Year/36,000 Mile Warranty. Awesome addition to my truck. Works great and was easy to install. I have used this many times already and makes climbing into the bed much easier. 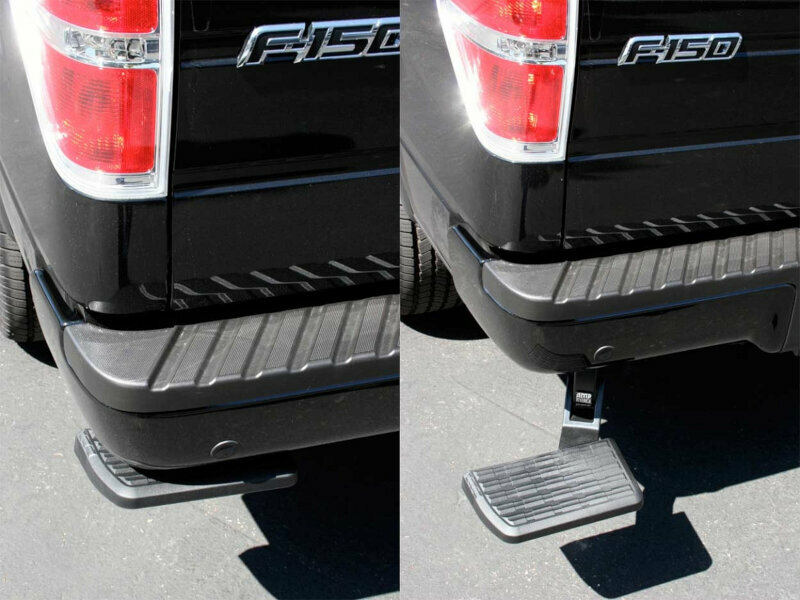 Had a 2009 F150, came with Ford bedstep in tailgate. Loved it! 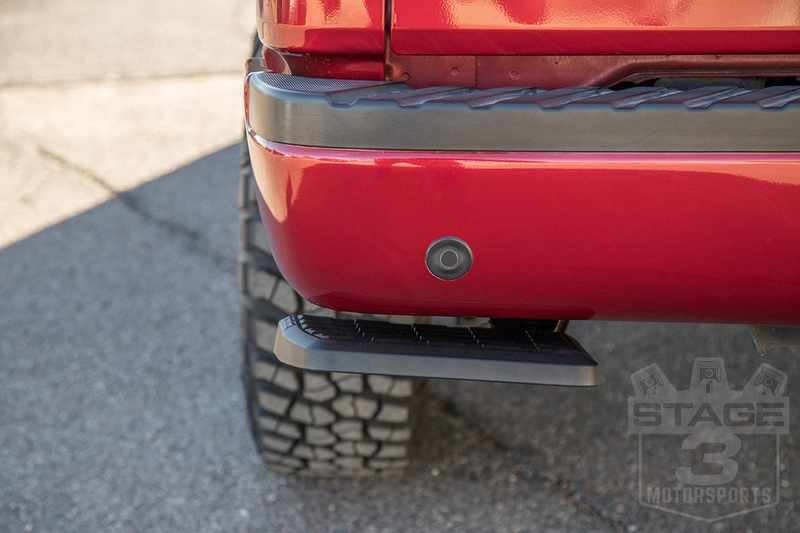 Bought the 2013 F150, tailgate/bedstep didn't come with it. Needed one. Purchased this one, fast shipping, easy to install, works great! No problems now getting into the bed of the truck. Saves wear & tear on the knees.Stage 3 had the best price too! Every once in a while, there comes along a must have product. This is one of them. 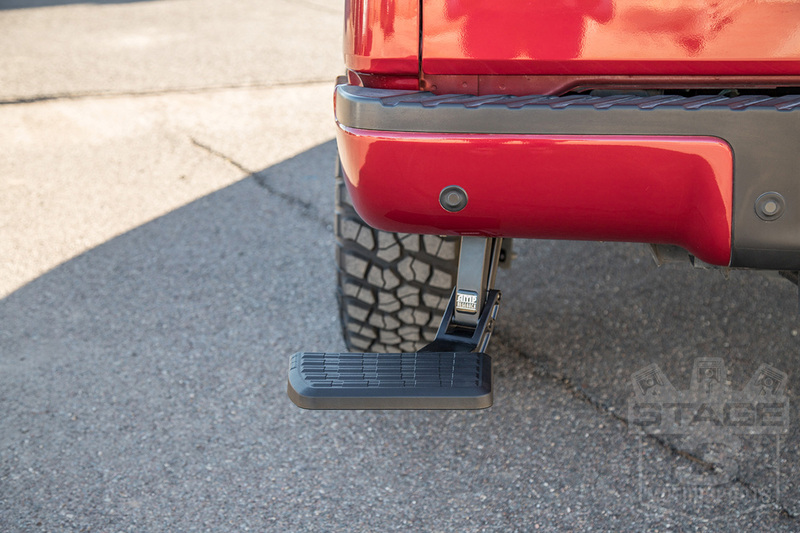 This step allows easy access to truck bed - I look forward to many years of service from it. 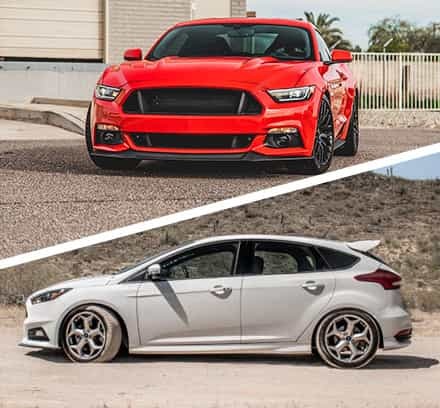 Stage 3 price was unbeatable and delivery as fast as a local shop. What an invention! 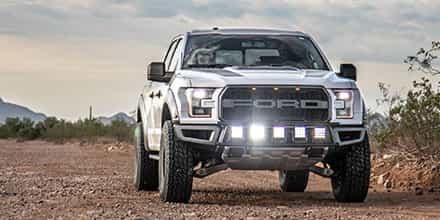 I've had truck envy since my neighbor bought this. I got mine and put in on with no problems. 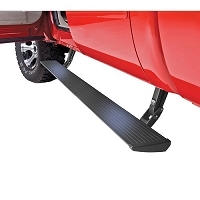 Works great and makes the step up into the truck bed easy! Be sure to watch out not to bang your knee the first time you use it! Stage 3 was great to deal with and really fast shipping! 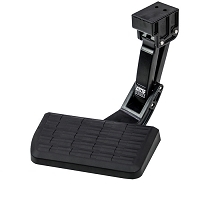 The step works great and it really helps for someone that's had two hip surgeries and can't climb up and down like I used to. This is a very useful accessory. 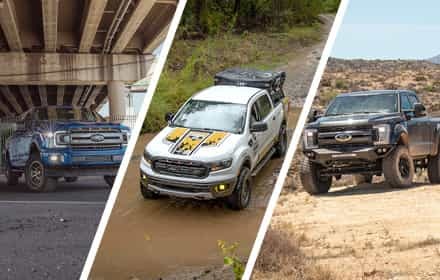 I am glad I purchased this for my truck. 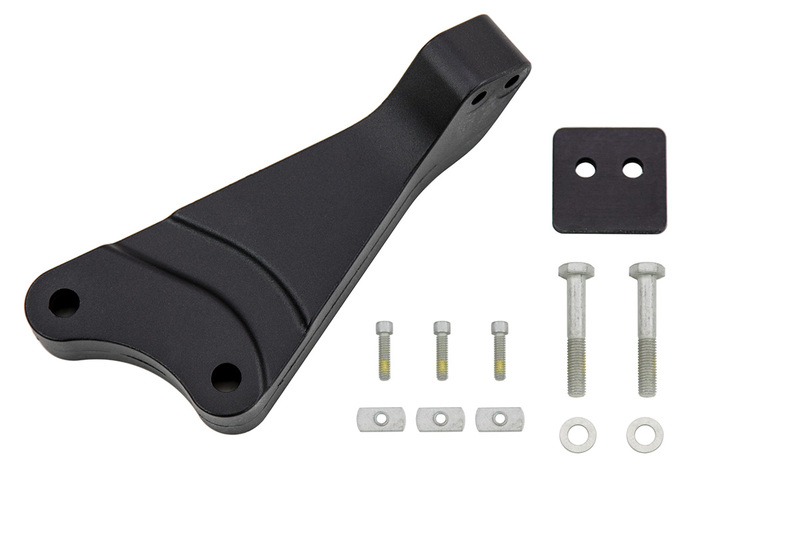 Quality part that was easy to install. 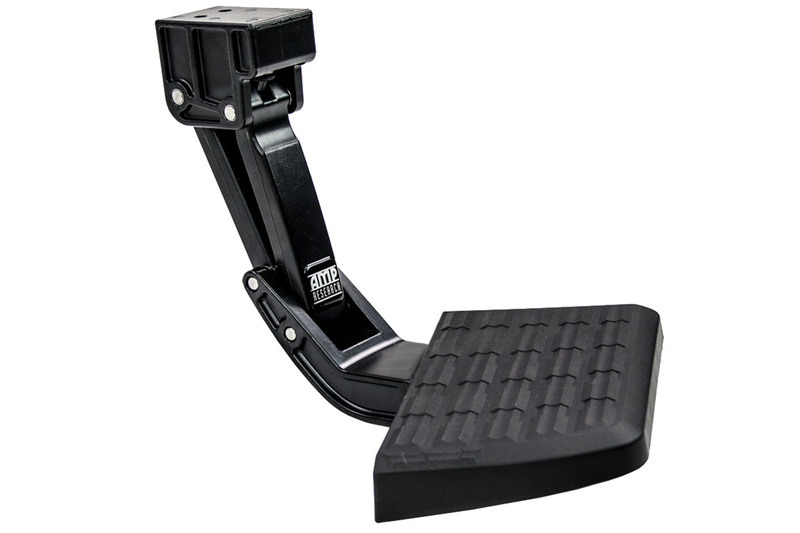 A must for lifted trucks as well as trucks of standard height. 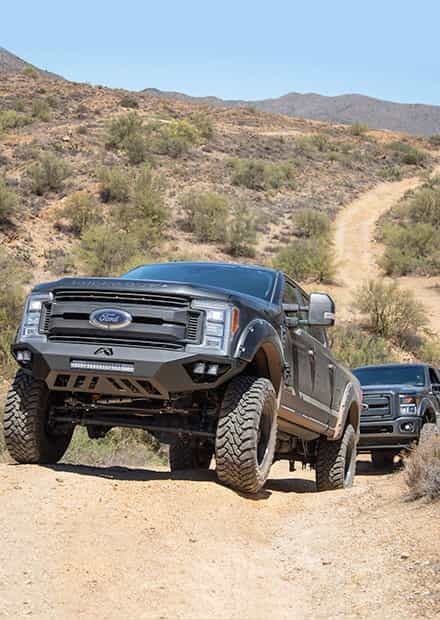 Makes entering the bed of your truck with ease. You hardly even notice it when it is installed and folded away.